Architect for yacht and sail design. Design phase of sailing boats and motorboats, taking care to follow all the aspects related to the design phase and assistance during the realization. We project keels and tails of sailing boats and motorboats putting together the certainty of excellent performances and the research for essential, long-lasting shapes. We develop the project for the interior and exterior of the boat and realize all the processing required at the shipyard for the execution. 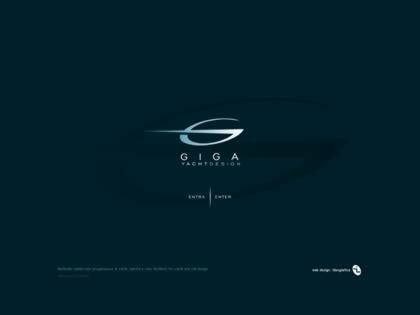 Web Site Snapshot: If available, above is a snapshot of the GIGA Yacht Design web site at http://www.studio-giunta.it as it appeared when this site was added to the directory or last verified. Please Note that Boat Design Net has no involvement with the above web site; all content and images depicted in the above thumbnail are the property and copyright of GIGA Yacht Design unless otherwise noted on that site. Description: Architect for yacht and sail design. Design phase of sailing boats and motorboats, taking care to follow all the aspects related to the design phase and assistance during the realization. We project keels and tails of sailing boats and motorboats putting together the certainty of excellent performances and the research for essential, long-lasting shapes. We develop the project for the interior and exterior of the boat and realize all the processing required at the shipyard for the execution.